RD7100®, our industry-specific range of underground cable locator equipment, contains advanced locating technologies with each model optimized for the challenges of locating a particular buried utility. Accurately locating and marking buried assets ensures minimum downtime during repair or maintenance activities. It also prevents damage which can be costly for both you and your customers. 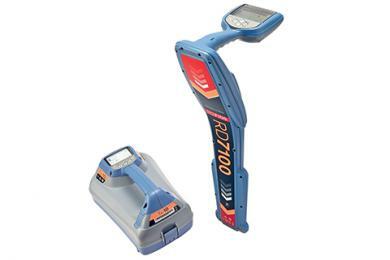 RD7100 offers the power of Radiodetection’s most advanced locating technologies, with each cable locator model optimized for a specific industry. Users benefit from the simplicity of having menu options and capabilities matched to their requirements. Read our guide to cable and pipe locators to understand more about how locators work. Our GPS and usage-logging models are designed to facilitate best working practices in locating crews.